Offensive Player of the Year: Skyler Goo, Saint Louis, Sr. 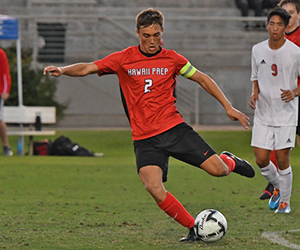 Defensive Player of the Year: Lincoln Oishi, Iolani, Sr.
Hawaii Prep: Toby Balaam, Tage Boyette, Conor Hunt, Brendan Moynahan. 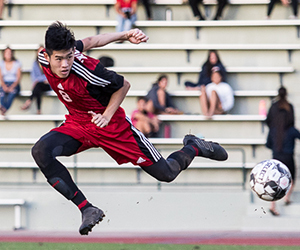 Iolani: Elijah Brown, Frederik Mareels, Ryuya Sekido, Jarin Simon, Brandon Suzuki, Isaak Tanaka. Kaiser: Kyler Halvorsen, Lucas Shearer, Tytan Yamanaka. 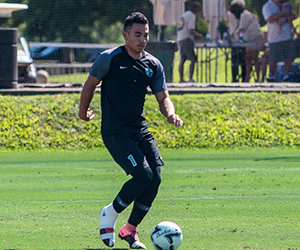 Kalani: Marc Anthony Cabrera, Kane Enomoto, Cory Takiguchi. 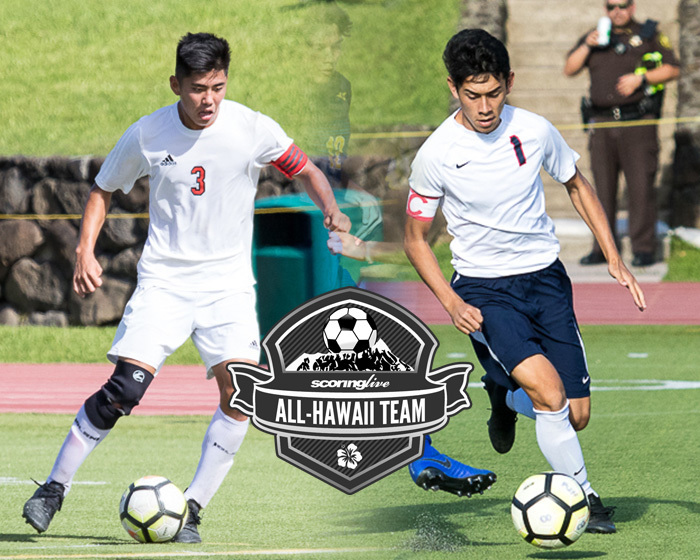 Kapaa: Ryan Banasihan, Laa Gonsalves, Chysen Lagunes-Rapozo, Johnny Movaghar. 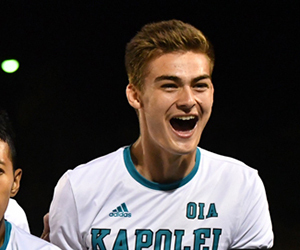 Kapolei: Eric Aquino, Elijah Badoyen, Hunter Hoogenwerf, Joe Wren. 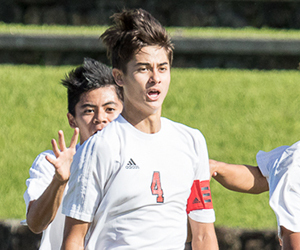 Kekaulike: Jericho Lara, Connor Prados. Makua Lani: Kaipono Benson, Isaiah Easley. Mililani: Nicholas Gaston, Kekoa Kuloloia, Noah Ungos. PAC-5: Nikolas Bianchetti, Coe Trevorrow. Pearl City: Zeth Bolosan, Thomas King, Richard Seaman. 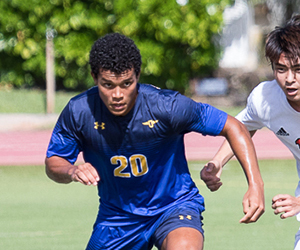 Punahou: Treyden Buder-Nakasone, Dane Mizuno, Jacob Moore, Liam Nichols-Shipley. Waiakea: John Grover, Aidan Santos. 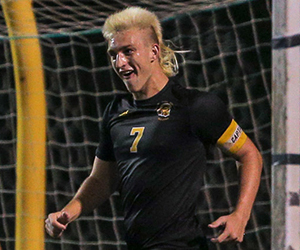 Offensive Player of the Year: Skyler Goo, Saint Louis, F/MF, Sr. 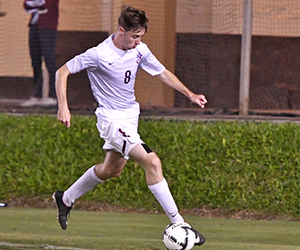 When opposing teams prepared their game plans against the Saint Louis boys soccer team, they knew that as Skyler Goo goes, so go the Crusaders. 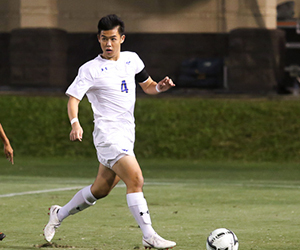 Despite that, Goo was able to wreak havoc on the pitch his senior season en route to collecting All-Hawaii Offensive Player of the Year honors. 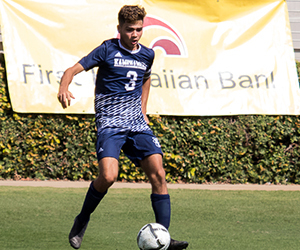 Goo, a 5-foot-7 forward/midfielder, scored 23 goals this year — the fourth highest total in the state — and led Saint Louis to a 10-3-2 record and the Interscholastic League of Honolulu Division II title, as well as its second state runner-up finish in three years. He scored in 12 of his team's 15 games, including six multi-goal games. 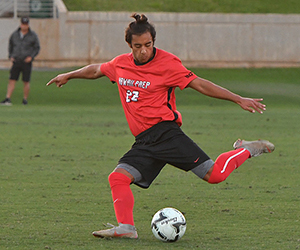 Eight of his ILH-best 21 goals during league play came against Division I opponents. 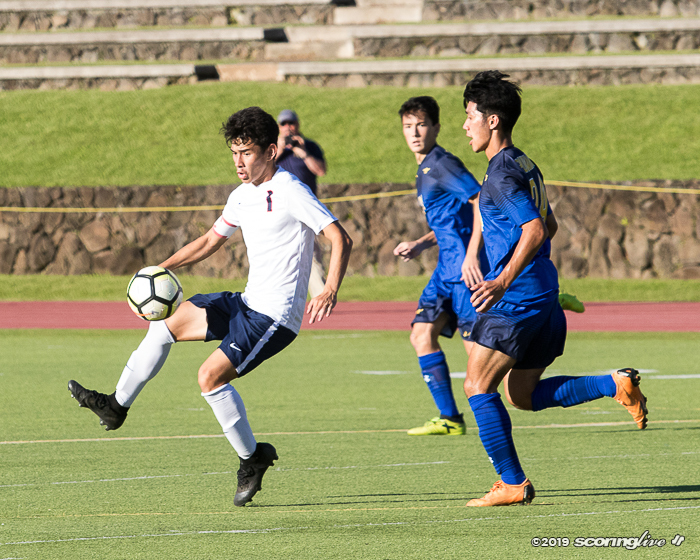 "I think what clearly separates Skyler is his ability to be a game changer even though the opponent knew that he was the focal point of the Saint Louis attack," Kapolei co-coach Ryan Lau said. 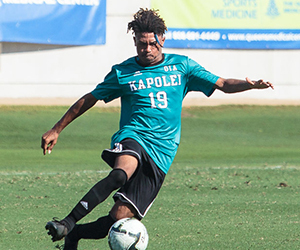 "He played game in and game out knowing that he carried a heavy burden for the team to be successful and he played in the ILH, so he played the Punahous and the Iolanis and he was a handful for both teams. 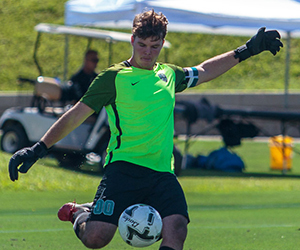 Any time a guy can score that many goals in the ILH tells you something." 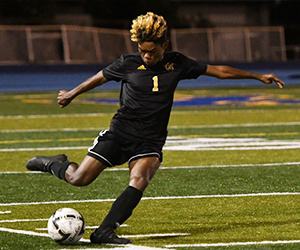 Goo scored both of the Crusaders' goals in a 3-2 loss to the Raiders and while he didn't find the back of the net against the Buffanblu, his team held tough against the eventual-D1 state champions and only fell by a score of 1-0. 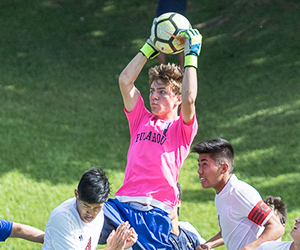 "He has incredible individual skill, he plays with a lot of determination and he has a very competitive instinct in him, which when he was younger got the best of him, but this year he seemed to control it," Punahou coach David Trifonovitch said. 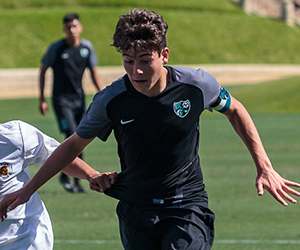 "While his skill as a soccer player is very good, one thing that I was impressed with this year was he showed a lot more maturity. He seemed to grow up a bit. He wasn't flustered, he was actually yelling at his teammates to stay composed and keep their cool when we played them at our place." 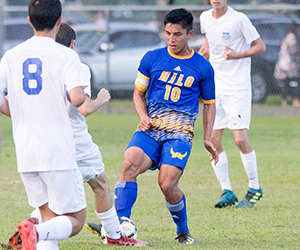 In a 6-1 win over Mid-Pacific, Goo netted five goals and he put put four in the back of the net against PAC-5 in an ILH title-clinching 4-2 win. 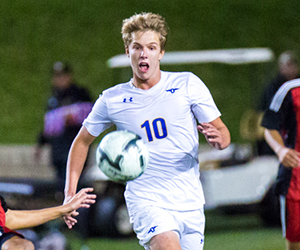 He scored twice in the state tournament and was selected to the all-tournament team. 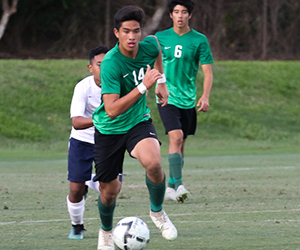 Goo will attend UNLV next year, where he will join fellow Hawaii players Tyler Allen (Mid-Pacific '16), Justice Gomes (Pearl City '18) and Angelo Deloso-Flocco (Baldwin '18). Goo's older brother, Aaron, also played for the Rebels from 2012-'15. 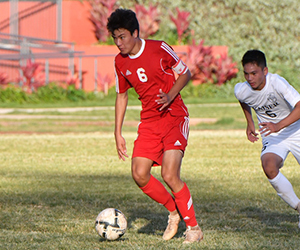 Defensive Player of the Year: Lincoln Oishi, Iolani, D, Sr.
One would have been hard-pressed to miss the player in the No. 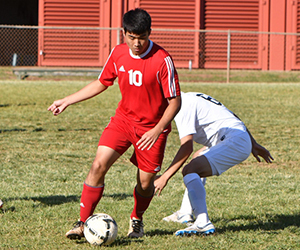 3 jersey any time the Iolani Raiders took to the pitch. 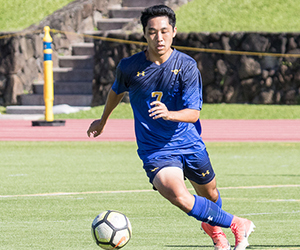 Lincoln Oishi made his biggest impact in the biggest games and was a clear-cut choice as All-Hawaii Defensive Player of the Year. 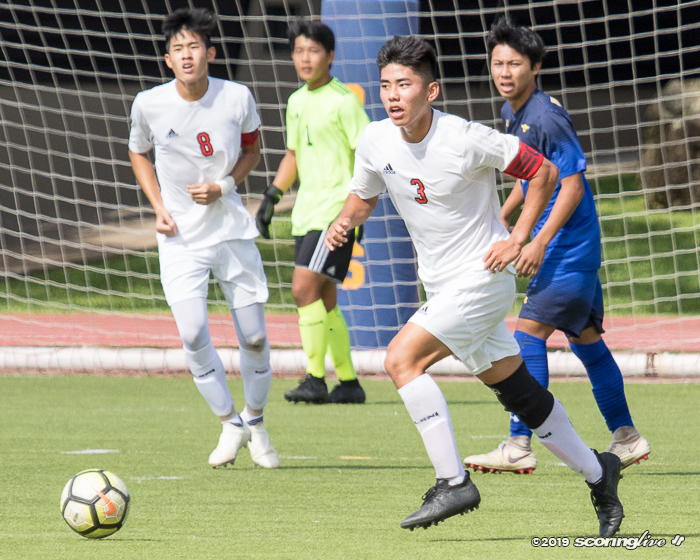 Oishi, a 5-foot-9 senior center-back, anchored an Iolani defense that allowed just 10 goals during the Interscholastic League of Honolulu season and 14 overall this year. 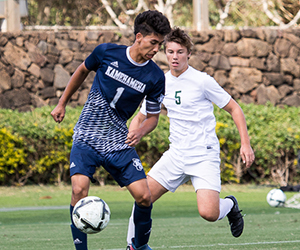 Opponents were held scoreless in nine different games, including a string of five shut outs in six games early in the ILH season. 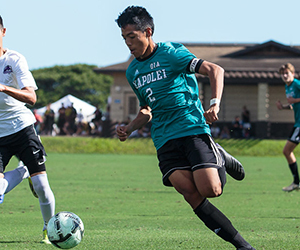 "I think he epitomized a true leader at center-back," Kapolei co-coach Ryan Lau said. "He was a very hard-nosed defender that set the tone. He was very assertive in his ball-tackling and he was also dangerous on the attack on set pieces. He was very active and a team leader. You could tell the team rolled on his emotion and passion and he played the best when they needed it. He was kind of their quarterback at the center-back position and he showed mental toughness and tremendous grit when I watched him play, regardless of the score." 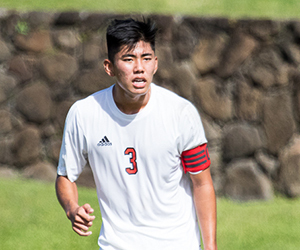 For the second consecutive season, Oishi was selected by ILH coaches as the league's defensive player of the year. 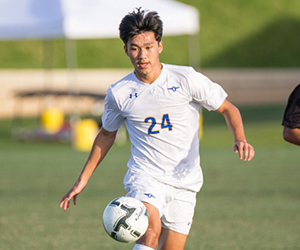 "This year with Lincoln I was very impressed with him as a team leader," Punahou coach David Trifonovitch said. 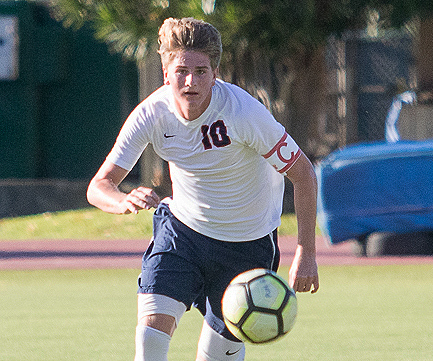 "His defending abilities are pretty good, he's good in the air, he's great at heading the ball so we had to try and really play away from that, but his ability to literally put that Iolani team on his back and take them through the state tournament … I mean, let's face it, he had to come up and score goals for them." 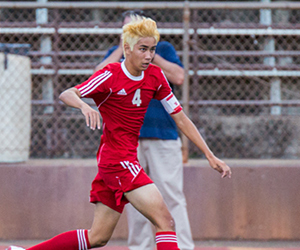 In fact, Oishi scored five of his six goals this season in Iolani's four state tournament games. 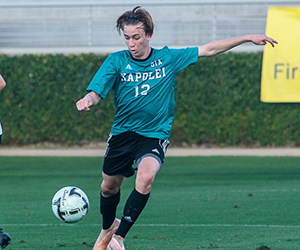 He netted two goals apiece in a first-round win shut out of Kaiser and a semifinal win over Kapolei later in the week. 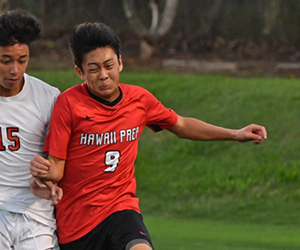 In a quarterfinal victory over defending co-champion Hawaii Prep, Oishi scored in the game's very first minute. He was one of four Raiders named to the all-tournament team. 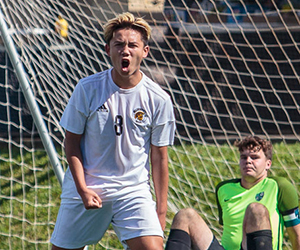 "He showed leadership and took on that responsibility of ‘I'll do whatever I have to do,' breaking his hand or finger in the (state) final and he kept playing," Trifonovitch said. 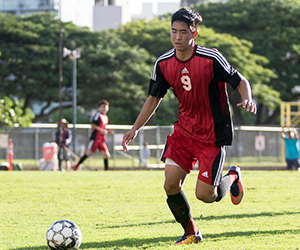 "Iolani at the beginning of the year wasn't a good team, but they got better throughout the year. 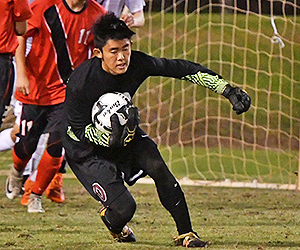 I did not expect to see them in the final, so for Iolani and Lincoln to be able to lead that team through that state tournament, that's just a testament to him and his coaches getting them to peak at the right time, at the right place and he's a good person. He's a good leader, he knew how to keep his team together, he played hard — I never thought he played dirty or anything like that — so I was pleased with his determination and how he did things." 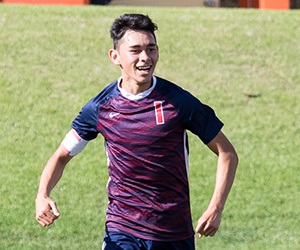 Oishi, who earned All-Hawaii second team honors as a junior in 2018, has signed to play for Whitworth University next year. 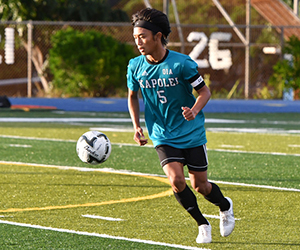 The Buffanblu won seven of their first eight games and their final four contests — including a 1-0 overtime victory over Iolani in the state final — to finish with a 12-1-2 record this season, which culminated with their third Division I state title in five years. 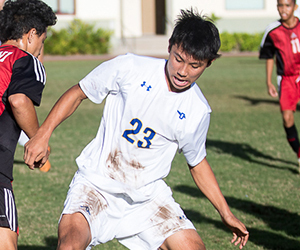 Punahou won its third straight Interscholastic League of Honolulu championship this year. It has captured five state crowns under Trifonovitch since 2010.